Hope everyone had an amazing Thanksgiving.  One thing I'm quite thankful for this year is having so many kind souls who have agreed to share bits of their home (and themselves) with me on Brooklyn Limestone. Since you've heard me blabber on for several months straight now, another guest post series is long overdue. Kicking off today, I'm so thrilled to have Kelly sharing her beautiful and bright nursery. Kelly is a graphic designer by day and a mommy, wife and blogger by night. After you see the lovely job she did creating a warm and cheerful space for her little one, go check out her blog, Glamour This. Hi Everyone. I am so honored to be guest posting on Brooklyn Limestone, and I am really excited to show you my son Mavrick's (Mavi for short) nursery. It all started off with the already painted wall. Purple-ish gray hue with white wainscoting. We had painted this room when we moved in our house taking into account this would “one day” be the room of baby. I wanted something that was neutral so we could either go boy or girl with pops of color. I love gray so it was only appropriate to incorporate that in major elements in the room. I chose tone on tone gray houndstooth fabric for the modern glider that would fit perfectly in the corner of the room. A gray shag rug which would be placed under the dark wood crib would accent the gray in the glider. I was getting custom bedding made and because it would be handmade, I wanted to choose colors that were gender neutral so that I can use this amazing bedding for baby #2 if we happen to have one I wanted modern prints; stripes and dots in bright colors ; blues, yellows and green. Theme? Well you can say that I went pinwheel crazy. I guess that’s the theme. Modern Bright Pinwheel gender neutral nursery. Phew… that is a long title, but seems to be right on the dot. I loved pinwheels as a child and realized it was something that wasn’t being used much in nurseries (well anyway I haven’t seen any) … so I went all out. Making this colorful paper toys was a great inexpensive DIY project and I scattered them all around the room. I made a wall of custom art (all designed by me) framed in white frames (so that they would pop on the gray wall) and added a couple of pinwheels to the layout. I also added some pinwheels in the pom clusters I also DIY-ed. I didn’t want to have a mobile in the room so I figured having a cluster would be a more modern way to go about it. I included 2 white paper lanterns I took home from my baby shower as well as green and blue paper lanterns I found at the party store. They fit perfectly with the greens and blues in the bedding. Lastly, I wanted to incorporate typography somehow, so I got custom letters made out of bamboo and hung them from the cluster. I am really happy with the outcome of the room, I just hope when Mavi will look back at pictures, he will too. For those interested in the cost break-down of the nursery decor, you can find all the details here. Love how the pinwheels have been worked into the decor. So clever and pretty! Love the cluster over the bed! Great option vs. the usual mobile! Gorgeous! Love the color scheme! So adorable! I love the room. The colors are warm but bright and I really like that you made something cheap (paper) look so good. I love seeing people's nurseries. Very adorable! I love the pinwheels. Great modern nursery! I love your pinwheel theme! The crib is a classic look, but the dark wood you chose really fits with the way you've designed the room! Where did you get the crib- it's so good looking!! Such a sweet nursery! beautiful!